First, here's the FAQ. But read on. Dr. Alson Sears, a retired veterinarian formerly of Lancaster, Calif., has developed a serum that can effectively treat and save a dog infected with canine distemper. This serum is not considered a replacement for the distemper vaccine developed in 1950. But despite the widespread use of the vaccine, there are still cases of distemper in the United States and around the world. The distemper vaccine prevents the disease. Dr. Sears’ treatment is a way of effectively fighting the disease after the dog gets sick. The key to the serum is the Newcastle virus vaccine, which was developed for chickens. However, in dogs the vaccine creates a response that can turn off the distemper virus. The serum is created by using a donor dog who is injected with the vaccine. The vaccine can be purchased at any agricultural store that deals with poultry. Until very recently, this treatment had been considered only effective with dogs in the early stages of the disease – before the onset of neurological seizures. That is still the easiest and simplest way to defeat the disease, and it is still recommended that an infected dog be treated with the serum within six days of the onset of symptoms. However, a new procedure has been developed that by the end of 2008 has saved four dogs from the neurological phase of the disease. Dr. Sears discovered this serum in the late 1960s by accident, trying out an experimental procedure. He made a mistake in following this other protocol and unintentionally created his serum. However, suddenly dogs with distemper were getting better because of this mistake. He doesn't know how or why the serum works, and to find out would cost money that he doesn't have. I believe in this treatment because my dog, Galen, came down with canine distemper in 1997. Dr. Sears treated him before the seizures hit, and Galen was completely cured. He lived a full life for nine years until he died of liver disease in October 2006. I also believe in this treatment because in the past nine years, since I first posted my Web site on this treatment, I have heard from pet owners from around the world whose dogs have been saved by Dr. Sears’ serum. So many more dogs could have been saved if only their owners would have heard of the treatment in time. 1) If you suspect your dog has canine distemper, you need to confirm that the dog has the disease. “The best test for rapidly diagnosing ACUTE distemper is to do what is called a brush border smear of the cells of the lining of the bladder. These cells ALWAYS have inclusions if distemper is present. So, easy to collect, easy to stain (quick dip) and instantly diagnosed inclusions in these cells are carmine red and para nuclear. These inclusions will NOT be present in long term distemper cases. “Any medical person can tell you how to get cells from the bladder. Urinary catheter. Empty bladder, flush with saline and collect some of the last saline. Spin down the saline and remove the cells. Place on slide and dry stain with diff-quick. Very common stain used by most medics or lab people who use medical microscopy. Everyone? I should hope so. Very fast, very cheap, very accurate for Dx of distemper. If present then Distemper. If negative, then either Kennel Cough or Respiratory Herpes. or Toxoplasmosis." Don't wait. Procrastination can mean death. 3) Because Dr. Sears is retired. You will need to find a vet willing to use Dr. Sears’ treatment. This will also include acquiring the Newcastle virus vaccine. If you have trouble finding a vet, please contact the Save Dogs From Canine Distemper group on Facebook. We may be able to help you, depending on where you are. We also can offer practical support while you are going through this ordeal. 4) You will also have to find a donor dog to create the serum. The ideal dog would be an 8-12 month old mixed breed dog 60-100 lbs, young and healthy. From Dr. Sears: "(This is) perfectly safe in donor dogs. However, I would advise a younger mixed breed so that you have the best of immune systems to function. What is amazing is that it can be collected in serum and stored for up to 5 years and maintain it's effectiveness. This is why we used serum." However, you may not have time to make the serum. Or it may be difficult to find a donor dog. Also serum cannot be legally shipped, so it would have to be made by a vet at a clinic and the sick dog would have to be treated there. 5) BUT, often using the straight vaccine may also be effective. Here's a page that explains that treatment. HOWEVER, the straight vaccine will not work for puppies 12 weeks old or younger or for any other dog with a immune system too weak to create the needed cytokines. The straight vaccine will not work if, for example, the dog has been fighting the disease for weeks. Early treatment is always best. The dosage depends on the weight of the dog. From Dr. Sears: " Anything under 10 lb. gets 1/2 cc IV. UP to 20 lb. 1cc IV. for 20 to 40 lbs use 2 cc IV. Anything larger use 2.5 cc IV." Again, don't wait. Procrastination means death. 6) In battling the disease, you also must be very careful about preventing secondary infections. The dog's immune system is weakened, and so other diseases may strike. You will need to continue a regimen given by your vet to keep your dog’s immune system as strong as possible. 7) Even if the treatment is successful, the disease has probably done damage to the lungs, stomach, eyes, pads of the feet, etc. You will need to treat these symptoms as needed. 8) If your dog has gone in to the neurological phase, you will need to pursue the NDV spinal tap treatment, which involves an injection into the spinal canal. Here are Dr. Sears’ notes on this treatment. However, our statistics show that the survival rate of dogs that go through the NDV spinal tap is only about 50 percent. Still, this is better than doing nothing. Most dogs in the neurologic stage do not live. 9) Please document your case. Take photos, keep copies of records that show your dog’s progression into the disease and into recovery. Post your stories to the Facebook page. We need these records and your stories to establish a track record of successes. If you want to help us further, please donate to our 501c3 charity, Kind Hearts In Action. Donations to our cause can be made here. This will help us improve our ranking on search engines to make it easier for owners of dogs with distemper to find us. Thanks. Also, you could help us A LOT if you would be willing to use your dog as a serum donor. After your dog is cured of Distemper you may need to treat periodically and preventatively for opportunistic infections, as some dogs' immune systems may still be weakened due to a combination of their genetics and the huge strain on their health from their previous illness. A few months after my dog, Carmella beat Distemper she was diagnosed with Demodectic Mange. Along with that came a bacterial infection first presenting as little red pustules on her abdomen, and then as red, blistery and sometimes bleeding areas between her toes and pads of the front feet. My vet believes this to be Staph. (Some have had good success using probiotics as well for stints of a few weeks at a time). The above company is in Dothan, Alabama. Thanks to Pippit for the info above on getting the vaccine. I have a puppy that is in about day 43 or so of this nightmare. I hoped he would be one of the few that would make it. He had such a mild first phase of the disease with only traces of the usual symptoms. Now he is into the neurological phase and has twitches in and has lost the use of all of his limbs. He is not paralyzed but has quit trying to get up because he cannot support his weight and has no balance. His head also has a twitch and it leans to one side. I have seen him have only one seizure but I think he has some very small ones that I can't identify as seizures. I sometimes hear his teeth clicking together. From the beginning, he cried around the clock but since starting on phenobarbital, he has some stretches of peaceful sleep that sometimes last 5 hours or so. However, I know he is suffering so much because he still is either crying or sleeping. I have read that some pups survive and recover from even severe neurological symptoms. How in the world can anyone know when it is time to stop hoping for recovery and relieve the misery with euthanasia? I don't want to ask the vet because I am pretty sure they don't expect any dog to survive this and with that attitude I think they might be more apt to "jump the gun." You need to go on our main website: http://www.kindheartsinaction.com/ where we can explain to you the possibilities and the limits of the NDV treatments. We offer hope, but not guarantees for recovery. Unfortunately, after 43 days of fighting this disease, our techniques will have the odds heavily stacked against saving this puppy. I really feel for you because my wife and I fought for three weeks to save one of our puppies, with 24-hour nursing care, and the pup died at the vets. That was a year before we found Dr. Al Sears who saved another of our dogs from distemper before it even got to the neural phase. If you e-mail me directly at ed.bond.new.york@gmail.com, I can talk to you about the possibilities at this point. Make sure to tell me where you are and how old this puppy is. Kind Hearts In Action, a 501c3 dog-oriented charity based in Los Angeles. The director of Save Dogs From Canine Distemper is Ed Bond. Please read our report on the outcomes of distemper cases treated with NDV. Here's some more recommendations from Dr. Sears on the treatment of pneumonia, which often accompanies distemper. Neurologic problems also include spasms, twitching, balance trouble and blindness. 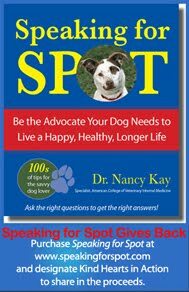 Check this board for advice and help from other dog owners who have gone through the sometimes difficult recovery phase after the NDV spinal tap. Let us know where you are, whether you have a diagnosis of distemper, what symptoms you have been seeing, whether there have been seizures or other neurologic problems, how old the dog is and what breed. The Kind Hearts In Action channel.